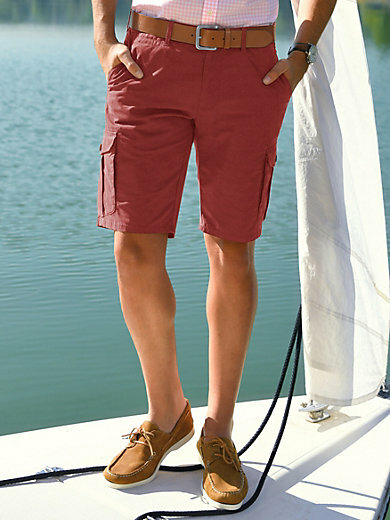 Cargo shorts by EUREX BY BRAX with 1 coin pocket and 2 diagonally cut pockets at the front, a comfort stretch waist, 2 cargo pockets with flaps and button fastenings, and 2 buttoned back pockets. Particularly high-quality stretch material made from 98% cotton, 2% elastane. Belt not included. The cargo shorts are machine washable.